Much of the energy in the "9/11 truth movement" has long since passed over pointing out the seemingly mundane issue of official foreknowledge of the attacks and is now focused on claims the towers (and WTC 7) were deliberately blown up, plane crashes were faked, and even more obscure and extreme claims. But the political implications of "merely" allowing the attacks to happen is not much different than the controlled demolition claims. Arguing over the precise technical support given to 9/11 by the national security state is similar to debating the number of bullets fired at President Kennedy -- perhaps it may be interesting (or morbid) to a tiny minority, but irrelevant for understanding the Big Picture. Even if it is true that uninterruptable autopilots were used to "hijack the hijackers" with remote control (to ensure the planes hit their targets, and not the Indian Point nuclear power station, which Flight 11 flew over, and also not Rumsfeld's office in the opposite side of the Pentagon that was hit), that would not change the situation -- the covert government wanted, needed, enabled the 9/11 attacks. Regardless of the precise manner that 9/11 was facilitated, the "security theater" (to use security consultant Bruce Schneier's term) at the airports is a distraction from accountability for allowing the attacks to proceed despite ample warnings from US allies, FBI agents and military intelligence. These discussions of what possibly induced that [collapse of the towers] is a major psychological operations campaign designed to keep the American people from looking at the evidence of guilt. -- Michael Ruppert, February 14, 2005, interview on KZYX, "The Party’s Over"
The case of 9/11, now being tried in our metaphorical court of the corporate media and public perception, leaves no doubt as to who could produce more expert witness testimony or present them in the most impressive manner. ... 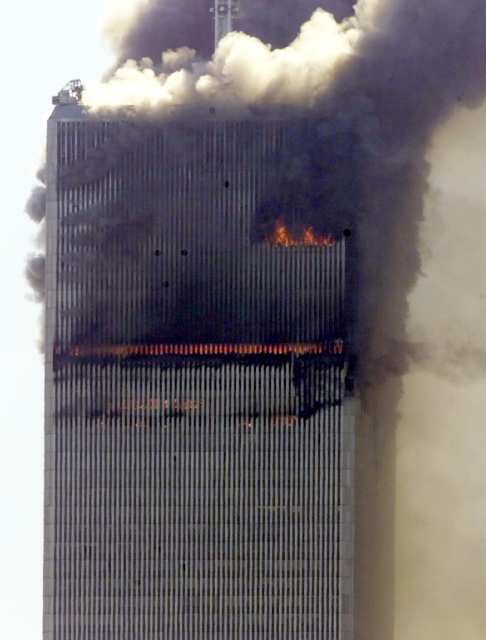 It is something else to analyze the temperature at which steel is weakened and determining whether or not an unproven amount of burning jet fuel, in unspecified concentrations and unknown locations could have weakened steel supports in the World Trade Center to the point where an unspecified amount of weight might cause them to buckle. the perpetrators of the World Trade Center attack hoped to topple one of the towers into the other, ultimately killing 250,000 people. Instead, six people died and more than 1,000 required medical treatment. The position of oilempire.us is that the towers were intentionally demolished by the Bush administration, but the method of destruction was allowing (and possibly steering) Flight 11 and Flight 175 to crash into the buildings. Claims for explosives, thermite, and even exotic unconventional weapons are not supported by peer reviewed, independently verifiable investigations and are an enormous distraction from solid evidence. The core of the case for complicity has nothing to do with the collapses. It is reasonable to assume the impacts of the planes plus the blast furnace type fires were sufficient to ensure the collapse of the towers. It is fortunate they remained standing long enough for most people below the impact zones to escape. The official complicity to let it happen and provide technical assistance resulted in demolition, but not the scenario from the "9/11 half-truth movement." The evidence for suppression of numerous warnings, interference with investigations of the flight schools before 9/11 and the multiple exercises on 9/11 was more than enough for an impeachment and conviction for aiding and abetting. Further details are like arguing whether the Reichstag in Germany was burned with gasoline or kerosene -- while the camps for dissidents are being completed for use. As with the Kennedy assassinations, the real issues are WHY 9/11 was allowed to happen, not the fine details of how it was technically accomplished. We are as unlikely to know the precise mechanisms behind 9/11 as the identity of the shooters of John F. Kennedy and Robert F. Kennedy, but why these crimes were committed is much less obscure, and a more fruitful path for serious investigation that could lead to positive social changes. One parallel between investigating 9/11 and the JFK assassination is both scandals suffer from the problem of independent investigators focusing solely on minutiae instead of the big picture. Why these crimes were carried out - and covered up by the media and political establishments - is more important than the technical details of how the violence was perpetrated. The third skyscraper that collapsed - Building 7 - was hit by substantial debris from the collapsing towers, had more significant fires than reported by most 9/11 "truth" websites and videos, and the firefighters had concluded hours before its collapse that it was going to fall down, too. As Carl Sagan famously said, extraordinary claims require extraordinary evidence. So far, there are not any verifiable, unshakeable proofs for demolition (even the best claims are inferential). Meanwhile, there is well documented evidence that shows abundant warnings from close US allies that were very specific to time, plane, means. no analyses of the damage to the structures from the impact of the planes, which caused considerable damage. (Some who were in the towers thought the building was going to fall over when it happened.) The claim that fire alone caused the collapses is not the official story, even if many claim that it is. there was a noticeable bulge in the buildings just before collapse seems to refute the demolition theories -- although photos on websites are not of sufficient resolution to prove or disprove this aspect. how could potential explosives survive the impacts and infernos? How could they have been detonated at the same locations as the impact zones while surviving the fires (in the North Tower, for more than an hour and a half). While black boxes used in aircraft data recorders can survive the shock and heat of plane crashes (and they were found from all four 9/11 planes), their integrity is merely to ensure data recorded before the crash remains retrievable, they do not continue to function after extreme force and heat. In the winter of 2005, the PBS network aired a show called “Building to Extremes” about the new rush to put up even more absurdly tall super-skyscrapers (Taiwan, Malaysia, Shanghai, etc). The show had a segment about the WTC collapses that discussed a 2002 report from Weldlinger Associates that dispensed with the “pancake theory” Instead, they hypothesize that the collapse resulted from the heating of the steel to modest temperatures (steel, according to them, loses half of its load capacity at about 500 degrees centigrade, which is well within the range of temperatures in that inferno), and the loss of critical columns (from the impact of the planes). The engineer in the film claimed that the buildings would have survived the loss of the columns - via the roof truss structure that transfer load from the damaged / destroyed columns to intact columns - if it wasn’t for the fire that heated the steel to the point that it lost some of its structural integrity. Some of the bogus folks on the web claim that without MELTING of the steel there was no chance for the official stories of collapse to be true, but they don’t talk about the reduction of integrity from the heating without melting. In addition, the engineer stated that the South Tower was more unbalanced from the lower hole than the North Tower, which is why it fell first (that is a reasonable claim). Finally, they discussed a smoke analysis that they did from the existing video and still footage that estimated temperatures and spread of the fires to justify their conclusions. The demolition theory does not explain how the demolition charges would have stayed intact during the inferno. Another problem with the demolition theory is that substantial proportions of the structure were destroyed by a high impact collision (and exactly what happened to the core columns is unknown and unknowable without access to the rubble). 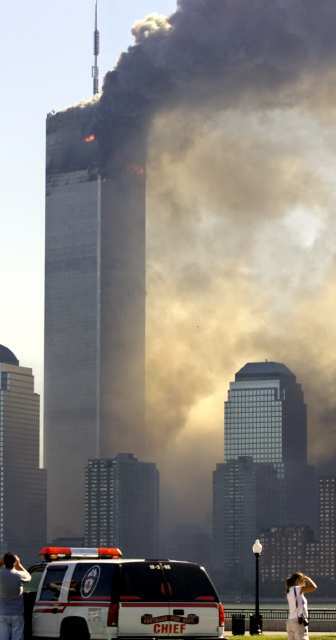 The "temperature of burning jet fuel was not enough to bring down the towers" is a fake claim, since the chimney effect (blowing air) plus the burning plastics, paper, etc would have increased the temperature considerably over the mere temperature of burning jet fuel. The much stronger Pentagon building had a collapse about a half hour after the plane crash, so the collapse of the towers in roughly the same amount of time is reasonable. (The hoaxers don't claim that the collapse of the outside ring of the Pentagon was demolition -- instead, they claim there wasn't a plane crash even though there was). One anomaly that no one can explain is why the rubble burned for months despite firefighting and rain, but that is not evidence for demolition. Controlled demolition does not result in months long fires. The claims for thermite do not explain this either. Bizarre claims for "nuclear weapons took down the WTC" are also easily dismissed (there are many aspects of the collapse that have no relationship to nuclear detonations). The more people obsess about whether or not controlled demolition was involved in the WTC collapse, the more they play into the hands of BushCo by being distracted from inquiring about far more significant issues, such as the relationship among the ISI, the House of Saud, the "black bag" CIA operatives, and the neo-cons infesting the Bush administration. There has been plenty of research and documentation about this compiled by the Cooperative Research website of Paul Thompson and analyzed in the excellent book The War on Truth by Ahmed. Those leads need to be further followed up IMHO. My education and career has been in architecture and urban planning, and I have found nothing implausible about the planes flying into the WTC explaining their collapse, and I have seen the results first-hand of a steel framed building which collapsed after a fire. Yet, even if there were explosives planted to ensure the towers would collapse in a spectacular fashion to make the event more dramatic, it only leads people to something of a dead end, because they then need to answer how the explosives were planted without being detected and who did it. David Ray Griffin has compiled a list of some of the top claims for demolition. Here are a few rebuttals to the assertions. Tactically, it would be much more helpful to have credible structural engineers and other relevant experts present these claims, instead of theologians. The 9/11 debunkers who support the official story have had much fun pointing to the scanty technical qualifications of the "Scholars for 9/11 Truth" regarding the physical evidence issues -- while ignoring a large volume of evidence that does not require scientific analysis to show the government lied about 9/11. No large steel-frame building has ever collapsed due to fire. 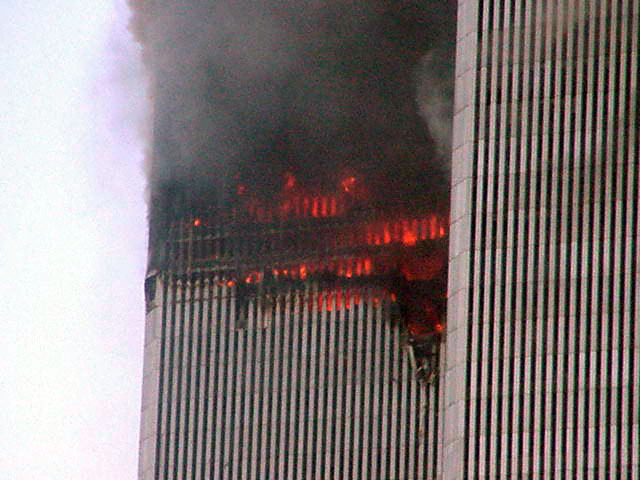 The official explanation given by the government teams is that fire destroyed both towers and building 7. The damage from the aircraft and debris are admitted to have played an insignifcant role. rebuttal: the WTC did not fall just because of fire. The damage from the aircraft had a major role, it was not "insignificant." The official explanation for WTC7 is the tower falling onto it caused much of the damage, and there are many claims the firefighters knew for hours it was going to collapse. These claims for 7 may (or may not) be true, but ignoring them is not honest. The collapse of all three buildings occured in a symmetrical, straight down fashion, into their own footprint. While dust and debris may have been ejected outwards, the structures essentially fell in on themselves, leaving surrounding buildings essentially undamaged. rebuttal: All of the surrounding buildings had gouges in them from the collapses. The buildings collapsed at almost free-fall speed. This means that each building must have experienced some spontaneous global structural failure so that there was no resistance or delay in the collapse. The official “pancake theory” for the towers is untenable because as upper floors supposedly collapsed onto those below, there would have been structural resistance. Instead the collapses began almost instantly and showed no signs of resistance. rebuttal: There is no reason to expect the lower floors to substantially slow down 100,000 tons (or more) of material from falling down. According to the 9/11 Commission, “The interior core of the buildings was a hollow steel shaft, in which elevators and stairwells were grouped” (p. 541). In fact, the core of the towers was actually a support system of 47 massive steel columns. The commission just ignored these because their existence conflicted with the official story of spontaneous global collapse. rebuttal: It would more relevant to examine what the National Institute for Standards and Technology (NIST) said about the core columns, since they did the investigation. Plus, it is reasonable to assume that the plane crash caused considerable damage to the core columns. There were very strong core columns, but technically it is true that the center of the building was hollow (the elevator shafts surrounded by the core columns). rebuttal: again, there is no reason to assume that the collapse would somehow stop once started. 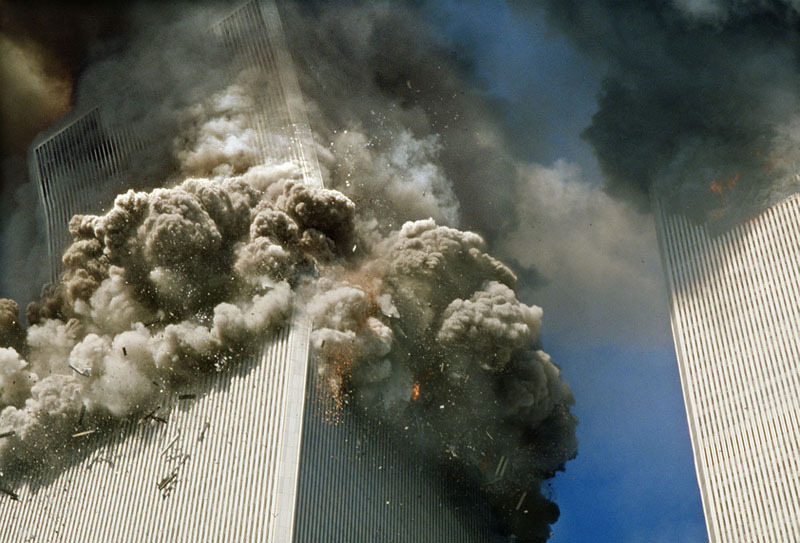 Nearly all the concrete and non-metallic substances in the towers were pulverized into a fine powder. The gravitational energy of a simple “collapse” would not have been sufficient to cause this pulverization. 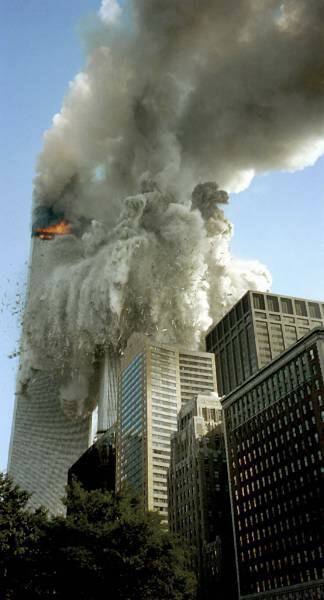 rebuttal: Controlled demolition is not an explanation for this either, unless you assume each floor was blown up, which is not credible. Some of it may have become ash from the fire. Molten Steel was also observed by multiple witnesses at ground zero, even weeks after 9/11. The energy needed to melt steel would only been possible through the use of explosives or other foreign, high-energy devices. Jet fuel and the collapse of the buildings could not have created enough heat or energy to leave molten steel. rebuttal: controlled demolition does not cause fires for months. Jet fuel was not the only thing that burned in the towers -- paper, furniture, plastic (made from oil), other synthetic combustible materials all added to the conflagration. Strong winds through broken windows and up the elevator shafts turned the towers into chimneys and got hot enough to weaken steel and melt some aluminum pieces of the plane. Perhaps an explanation for the "powder" is "ash" from fire? It would be helpful to ssee primary evidence for "molten steel" (and not molten aluminum from the planes) that can actually be verified. Firefighters, initial news reports and other witnesses prominently reported secondary explosions within the towers. rebuttal: Many have suggested these noises were a combination of very large short circuits and the floors pancaking, which would definitely sound like that. How do you separate the real noises from those sources from the alleged explosions? WTC 7 housed the New York offices of the CIA, Secret Service, SEC (Securities and Exchange Commission), and Rudy Giuliani’s Office of Emergency Management bunker. rebuttal: You can't simultaneously have "high temperatures" and claims that the fires weren't hot enough to bring down the buildings. The insinuation that tons of thermite burned for weeks is not credible. Is There Evidence That Explosive Charges Were Used To Destroy The World Trade Center Towers? DAHLER: Yes, Peter. Don Dahler. I'm four blocks north of the World Trade Center. The second building that was hit by the plane has just completely collapsed. The entire building has just collapsed, as if a demolition team set off--when you see the old demolitions of these old buildings. It folded down on itself, and it's not there any more. >>> Teresa Veliz, the facilities manager for a software development company, was on the 47th floor of the North Tower when Flight 11 hit. First, like many witnesses, she describes the building shaking twice:"I got off [the elevator], turned the corner and opened the door to the ladies' room. I said good morning to a lady sitting at a mirror when the whole building shook. I thought it was an earthquake. Then I heard those banging noises on the other side of the wall. It sounded like someone had cut the elevator cables. It just fell and fell and fell. I began to cry. "Oh, my God, I just got off that elevator!" I said. "That could have been me." I prayed those other people had gotten off on the 48th floor before the elevator dropped. But I didn't have much time to be upset because the building shook again, this time even more violently. The lady at the mirror grabbed onto me and held on for dear life." Veliz went down a staircase with a coworker to the concourse level. In the mall, they got onto an up-escalator as the South Tower collapsed, causing a rush of wind which knocked them down. In the pitch black, Veliz and her coworker followed someone carrying a flashlight:"The flashlight led us into Borders bookstore, up an escalator and out to Church Street. There were explosions going off everywhere. I was convinced that there were bombs planted all over the place and someone was sitting at a control panel pushing detonator buttons. I was afraid to go down Church Street toward Broadway, but I had to do it. I ended up on Vesey Street. There was another explosion. And another. I didn't know where to run." "for explosives to be considered as a primary or supplemental catalyst, one would have to accept that either a) dozens of charges were placed on those exact impact floors in advance and survived the initial violent explosions and 1100+ degree Fahrenheit fires, or b) while the fires were burning, charges were installed undetected throughout the impact floors and wired together, ostensibly by people hiding in the buildings with boxes of explosives. There is no third choice that could adequately explain explosives causing failure at the exact impact points. "The chemical properties of explosives and their reaction to heat render scenario A scientifically impossible and scenario B remarkably unlikely." The World Trade Center towers remained standing immediately after the planes hit because weight no longer borne by damaged columns was transferred to the giant truss on the roof. The subsequent fires eventually weakened the steel in remaining columns and the truss, but the delay in the collapse gave many people -- an estimated 20,000 -- time to escape. "At 9:47, in a nearby office, a woman called fire rescue with an ominous message. The floor underneath her, she said, was beginning to collapse." Early investigations after September 11th had concluded that the collapse was due to a structural weakness -- that the floor trusses failed, causing the towers to pancake to the ground. But in 2002, the engineering firm Weidlinger Associates came to a different conclusion. Using computer models and sophisticated defense department software, they were attempting to analyze whether the collapse of the south tower contributed to the fall of the other. Engineer Najib Abboud co-authored the analysis. Najib Abboud: The collapse was initiated through column failures rather than through floor system failures unlike what certain press accounts had surmised in the early days after September 11th. The airplane impacting WTC1, the north tower, was approaching it at about 500 mph. The impact of the airplane remained pretty much central, the airplane continued towards the center of the core. On the south tower, the impact of the airplane was eccentric. It sheared the columns in the corner of the core. Narrator: Columns throughout both towers were knocked out or broken. Debris from the plane ripped off much of the fire protection on the steel. Najib Abboud: There is no fire proofing in the world that was ever designed to counter the effects of fragments flying at 500 mile an hour. Narrator: But still -- the towers stood. The load of the building was transferred via the remaining columns, up to the roof truss. Najib Abboud: Had the roof truss not existed at all, we believe the collapses would have occurred substantially earlier. 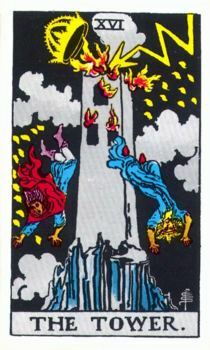 That balancing act could have gone on forever had towers did not had to deal with the subsequent fires. Narrator: These fires, fed by the fuel from the planes, created temperatures as high as seven hundred degrees centigrade. Najib Abboud: When steel reaches a temperature of around five hundred degrees centigrade at that stage it would have lost half of its load carrying capacity. Narrator: The columns and the roof truss eventually failed. But the floor trusses -- and the building design -- were not the reason for the collapse. Smoke analysis indicates the floors must have remained intact. On the left, the mass of smoke typically observed when floors are missing. On the right, the differentiated pattern of smoke exhaust and air intake actually observed, floor by floor, at the windows of both towers. The south tower collapsed first, fifty six minutes after it was hit, because it was more unbalanced by the off-center impact of the plane. Najib Abboud: The north tower outlasted the other one by about twice as much in time. We did prove conclusively that the floors did not contribute and were not the initiating cause, if you will, of the collapses. Steel doesn’t have to melt in order for it to fail. 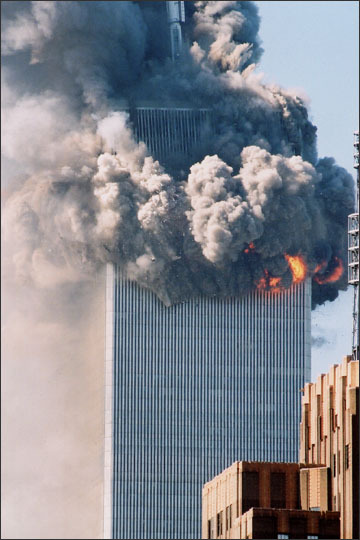 The fire from the jet fuel burned out in five or ten minutes, but the force of the impact blasted the content of the towers to one side, and ignited it. It was this fire that led to the structural failure. Both PBS and one of the cable channels did programs on the failure of the towers. The weak point in the structural design was the connecting point between the floor joists and the vertical columns. One end had 5/8? bolts, the other had 3/4?. The heat of the fire caused the floor joists to sag, which caused the undersized bolts to fail. The vertical columns depended on the floor joists for lateral stability — and when they went, the columns blew out. The tower that was hit last failed first for two reasons — mainly, the plane hit lower in the tower, so there was more weight above the damaged section; the damage was also more off center — when it fell, the upper tower started to tip just before it collapsed. On Nova, the engineer that designed them said that he knew they were coming down from the moment they were hit — they were not engineered to take that. On the cable channel (Discovery? History?) they reported that the fireproofing on the structural steel was substandard. It had been replaced up to the 50th floor or so, but the upper floors were essentially unprotected. Here’s the deal — without fireproofing, ANY piece of structural steel will fail, when exposed to fire. Wood is more structurally fire resistant than steel. Now — did something weird happen with WTC 7? Maybe; maybe not. Did the Bush administration ignore the warnings of a pending attack? Absolutely. Did BushCo cover up the truth after the fact? Absolutely. But asserting that ‘bombs were planted because the steel didn’t melt’ is seriously unproductive tinfoil territory. The Utah professor is not very helpful either. Some 9/11 skeptics who are convinced that the towers were detonated claim that the fires in the buildings had substantially diminished when they fell down. This claim is not supported by looking at photos of the collapses. 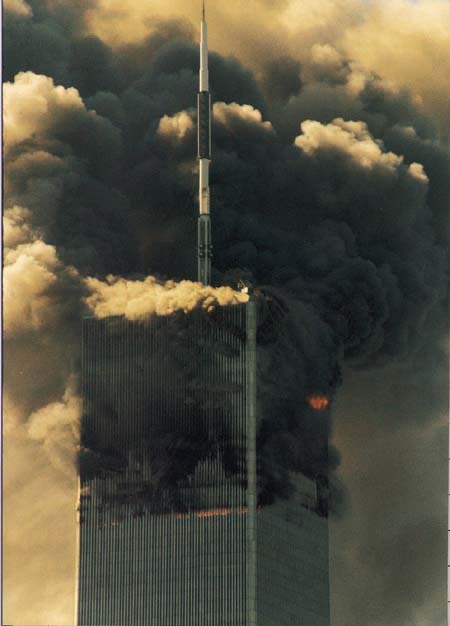 The South Tower, which had more fuel spray outside the building from the impact than the North Tower, still had substantial fire underway when it fell. In addition, the South Tower had much more weight over the impact zone than the hole in the North Tower. Note, also, the South Tower did not fall as symmetrically as the North Tower (on the right in the first picture). If true, the extra speed of Flight 175 would probably have caused more damage to the buildings columns (and this theory is probably vindicated by the fact that there is much more of an "exit hole" for the South Tower than for the North Tower. A 26-storey building has collapsed after being engulfed in flames in Brazil's largest city, São Paulo, killing at least one person. More than 150 firefighters are battling the blaze which is thought to have been caused by a gas explosion. The high-rise had been occupied by squatters. Fire authorities said they feared more people were trapped inside. The building collapsed after 90 minutes. "That type of home is uninhabitable, staying there is looking for trouble," he said speaking at the site of the blaze. "The lifts had been taken out and those empty air shafts formed a chimney. There was also a lot of combustible material, such as wood and paper which helped fuel the fire," he said. At least 20 firefighters were killed when a high-rise building in Tehran caught fire and collapsed, the mayor of the Iranian capital has said. Two hundred had battled the blaze in the landmark 17-storey Plasco building for several hours before it fell to the ground in a matter of seconds. Another 70 people were injured, 23 of them seriously, in the incident. Completed in 1962, the building was once Tehran's tallest and contained a shopping centre and clothing workshops. The cause of the fire is not known, but several officials said managers had been warned about safety issues. The fire reportedly began on the ninth floor at around 08:00 (04:30 GMT). Initial photos showed flames and smoke pouring out of the top of the building. One of the firefighters told AFP news agency: "I was inside and suddenly I felt the building was shaking and was about to collapse. We gathered colleagues and got out, and a minute later the building collapsed." "It was like a horror movie," the owner of a nearby grocery shop told Reuters. Rescue workers and sniffer dogs searched the rubble for several hours before Tehran Mayor Mohammad Baqer Qalibaf announced that 20 firefighters had died. Earlier, he said that "no ordinary civilians" were believed to be missing, but witnesses told the Associated Press that they had seen some people slip through the police cordon in an attempt to retrieve their possessions. Some business owners were later filmed by state TV trying to enter the ruins. Masoumeh Kazemi said her two sons and a brother had jobs at one of the many clothing workshops inside the building. "I do not know where they are now," she told the Associated Press in tears. Police officers have cordoned off Jomhoori avenue, which passes by the building, as well as the nearby British and Turkish embassies. Fire department spokesman Jalal Maleki said it had repeatedly told the building's managers that it was unsafe, and that it had lacked fire extinguishers. "Unfortunately, there were loads of goods inside the building and its staircases and none of the safety measures had been observed." he told the Isna news agency. President Hassan Rouhani ordered Interior Minister Abdolreza Rahmani-Fazli to investigate the incident, calling it "extremely sad and unfortunate". The Plasco building was built by the Iranian Jewish businessman Habib Elghanian and was named after his company, which manufactured plastics. He was executed after the 1979 Islamic Revolution after being convicted of spying for Israel.